Should you get a patent? What about a copyright? A trademark? Everybody makes mistakes, but some can be prevented. Read on to see five common mistakes regarding intellectual property, so you can avoid the pitfalls. 100% of businesses have Intellectual Property (IP). IP is not just for tech businesses or inventors. Even if you simply decide to launch a crowdfunding campaign, you’re exposing your IP to risk. Your name or product name, branding, and customer lists are all valuable IP assets and need protection. And, if you are working with anyone on your business or idea, having work-for-hire and employment agreements will ensure the work done for the company is owned by the company. A common mistake happens when a business outsources a business function. If a work for hire agreement is absent, the contractor, not the business, owns the contracted work. For example, company X needs a new logo and finds a designer to create the logo. The designer creates the logo, gets paid for her work, and the business begins using the logo on their website. Six months later, the designer sends a “cease and desist” letter to Company X, requesting the logo be removed from the website. The exchange of money for services is not enough, the company does not own the work and must take the logo down or risk infringement. Patents may be the most well known type of intellectual property, but they share the spotlight with trademarks, copyrights, and trade secrets, each of which has a distinct role in defining rights and ownership over a particular type of work. 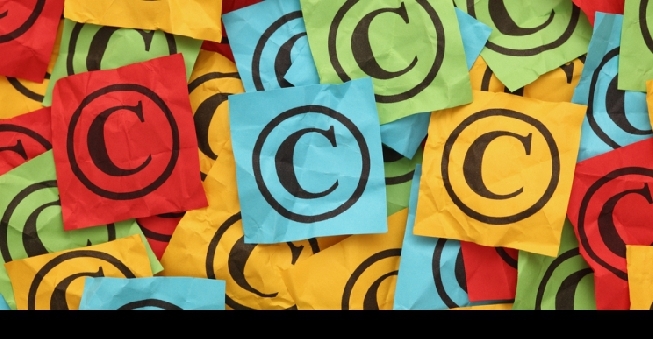 Copyrights are used for music and written works; anything expressed in a tangible medium. Trademarks are for logos and brand material, but also include sounds! Trade Secrets are recipes, formulas, processes, or even customer lists. Requesting to have a Non-Disclosure Agreement (NDA) signed when you’re sharing proprietary information is very wise. But, you can’t force someone to sign and not everyone will comply with your request. When a party cannot sign a Non-Disclosure Agreement (NDA) consider giving enough information to explain your concept but not enough to have someone replicate your entire process or product. In real life envelopes are steamed open, mailed empty, or otherwise tampered with to invalidate the date stamp as proof of time of invention. In order to prove the date of creation, your brilliant idea needs to be time-stamped by an independent 3rd party, like a notary or online storage provider. Time-stamping does not replace copyright, patent, or trademark registration, but certainly will help prove origin and date of creation. Finally, remember that when you are uploading your valuable IP using cloud storage, read the terms and conditions and only use online storage providers with secure encryption. 5. Minimizing the importance of intellectual property. Intellectual property is the most valuable asset for startups. In fact, over 90 percent of a startups’ value can be made up of IP. But, if you don’t know where your intellectual property is and how to leverage it, your IP goes unnoticed. This is the reason why identifying your IP is so important from the beginning. When an investor is thinking about investing in your company, the conversation surrounding IP will surely come up. What IP do you have? Do you own it? Why is IP so important for investors? For one, protected IP gives your company protection from any other company or person using it. Investors see this as a competitive advantage, protection against competition, and an asset that can be sold or licensed regardless of the business success or failure. Ultimately, this means there is lower risk in investing money into your company. Investors love low risk. So, by eliminating friction for an investor, you increase the probability of receiving an investment. Another situation arises with banks and leveraging assets for debt. Banks and other lending firms will give out debt based on the value of the company’s assets. Not recognizing your IP as an asset will significantly reduce the amount of available debt your company can access. Identifying your IP is the first step to realizing its value and how it can help you. If you don’t know what you have, IP is impossible to leverage. Intellectual property has a role at each stage of the business lifecycle. Starting a company is heavier in identifying and securing IP. Once hiring begins, the right contracts and agreements become paramount in protecting the current and future IP of the company. As the company grows and innovates, more IP will be created and increase the company’s value. Having an IP strategy is paramount to getting the most value from your business.